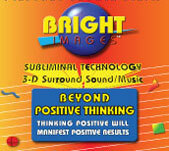 What Personal Information About Customers Does Bright Images Gather? 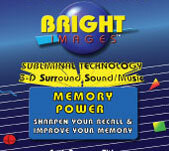 The information we learn from customers helps us personalize and continually improve your shopping experience at Bright Images. Here are the types of information we gather. Automatic Information: We receive and store certain types of information whenever you interact with us. For example, like many Web sites, we use "cookies," and we obtain certain types of information when your Web browser accesses Bright Images. A number of companies offer utilities designed to help you visit Web sites anonymously. 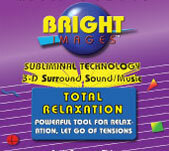 Although we will not be able to provide you with a personalized experience at Bright Images if we cannot recognize you, we want you to be aware that these tools exist. Email Communications: We use email to communicate with you about a particular order, to resolve customer service issues, and to inform you of special offers and developments at Bright Images. If you do not want to receive email or other mail from us, please send us an email and we will ensure you are removed from our lists. Cookies are alphanumeric identifiers that we transfer to your computer's hard drive through your Web browser to enable our systems to recognize your browser and to provide other features including the storage of items in your Shopping Cart between visits. The Help portion of the toolbar on most browsers will tell you how to prevent your browser from accepting new cookies, how to have the browser notify you when you receive a new cookie, or how to disable cookies altogether. However, cookies allow you to take full advantage of some of Bright Images's est features, and we recommend that you leave them turned on. 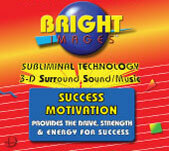 Does Bright Images Share the Information It Receives? Information about our customers is an important part of our business, and we are not in the business of selling it to others. 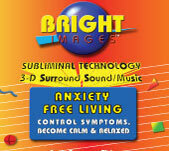 We share customer information only as described below and with subsidiaries Bright Images, Inc. controls that either are subject to this Privacy Notice or follow practices at least as protective as those described in this Privacy Notice. Protection of Bright Images and Others: We release account and other personal information when we believe release is appropriate to comply with the law; enforce or apply our Conditions of Use and other agreements; or protect the rights, property, or safety of Bright Images, our users, or others. This includes exchanging information with other companies and organizations for fraud protection and credit risk reduction. Obviously, however, this does not include selling, renting, sharing, or otherwise disclosing personally identifiable information from customers for commercial purposes in violation of the commitments set forth in this Privacy Notice. As discussed above, you can always choose not to provide information, even though it might be needed to make a purchase or to take advantage of such Bright Images features. If you do not want to receive email or other mail from us, please send us an email or call us to let us know. The Help portion of the toolbar on most browsers will tell you how to prevent your browser from accepting new cookies, how to have the browser notify you when you receive a new cookie, or how to disable cookies altogether. 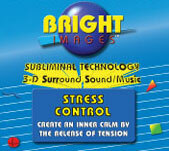 However, you may not be able to use some important features of the Bright Images Web site. The Federal Trade Commission provides useful information about online privacy on its own Web site, Site Seeing on the Internet. 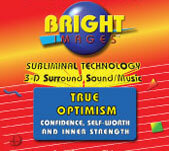 Bright Images does not sell products for purchase by children. We sell children's products for purchase by adults. 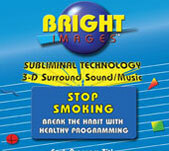 If you are under 18, you may use Bright Images only with the involvement of a parent or guardian. 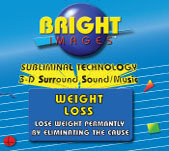 If you choose to visit Bright Images, your visit and any dispute over privacy is subject to this Notice and our Conditions of Use, including limitations on damages, arbitration of disputes, and application of the law of the state of Florida. 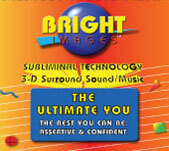 If you have any concern about privacy at Bright Images, please send us a thorough description to cser@brightimages.com, and we will try to resolve it. Our business changes constantly, and our Privacy Notice and the Conditions of Use will change also. We may email periodic reminders of our notices and conditions, unless you have instructed us not to, but you should check our Web site frequently to see recent changes. Unless stated otherwise, our current Privacy Notice applies to all information that we have about you and your account. We stand behind the promises we make, however, and will never materially change our policies and practices to make them less protective of customer information collected in the past without the consent of affected customers. You provide most such information when you search, buy, participate in a contest or questionnaire, or communicate with customer service. For example, you provide information when you search for a product; place an order through Bright Images or one of our third-party sellers; make a purchase; provide information in Your Account (and you might have more than one if you have used more than one email address when shopping with us) communicate with us by phone, email, or otherwise; provide employer information when opening a corporate account. As a result of those actions, you might supply us with such information as your name, address, and phone numbers; credit card information; people to whom purchases have been shipped, including addresses and phone number; content of reviews and emails to us. Examples of information we receive from other sources include updated delivery and address information from our carriers or other third parties, which we use to correct our records and deliver your next purchase or communication more easily; search results and links, including paid listings (such as Sponsored Links from Google).